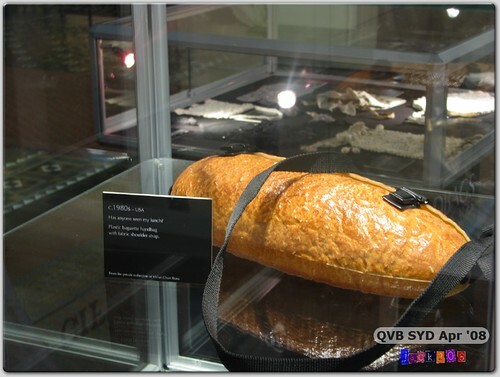 AUSTRALIA Apr ’08 Was back to Sydney for a few days before flying back to KL. 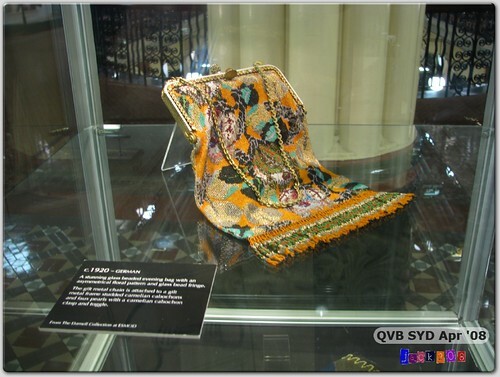 It so happened the Handbags Through the Ages exhibition was going on throughout the month of April at the Queen Victoria Building (QVB) here. 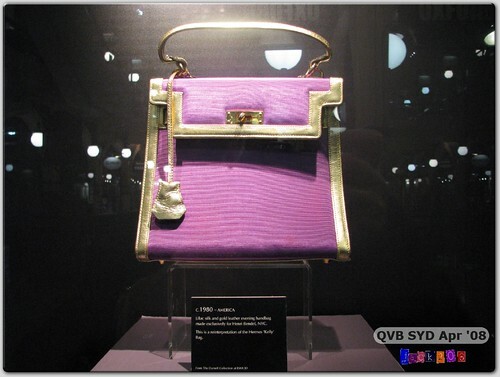 Since neu loves bags – of any size & shape – thought it’ll be good to visit and take some pictures of those handbags on exhibit which ranged from the vintage era of 1760 to today’s modern creations. 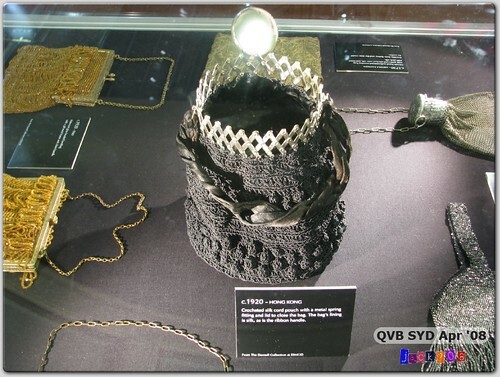 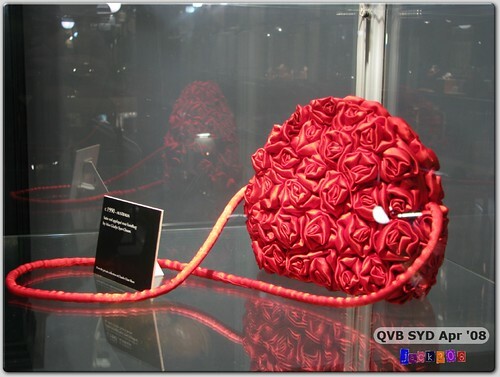 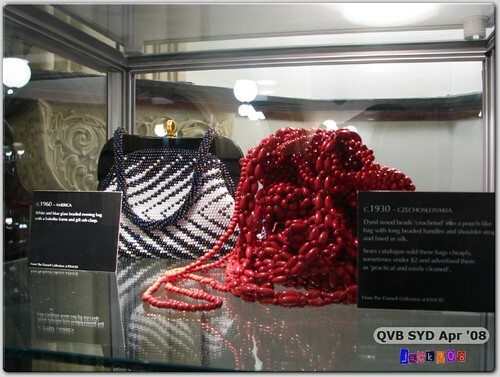 The exhibition also showcased over 100+ handbags from the Darnell Collection (AU). 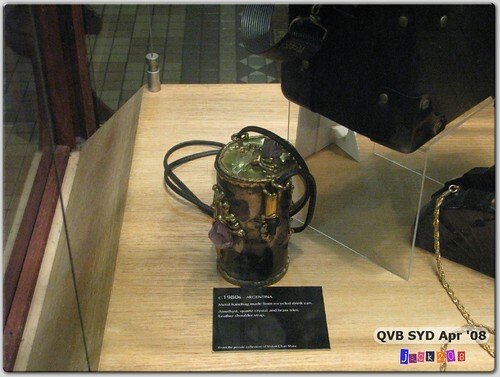 time when women began carrying everything from make-up to car keys. 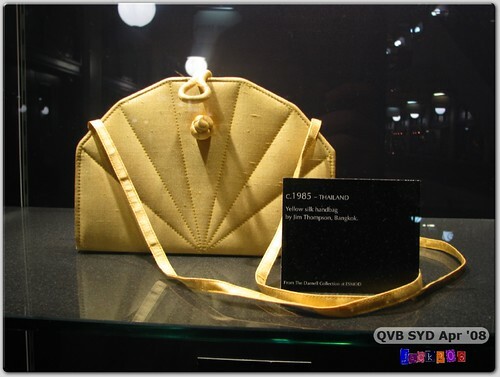 From USA 1980 – funny shape ya?